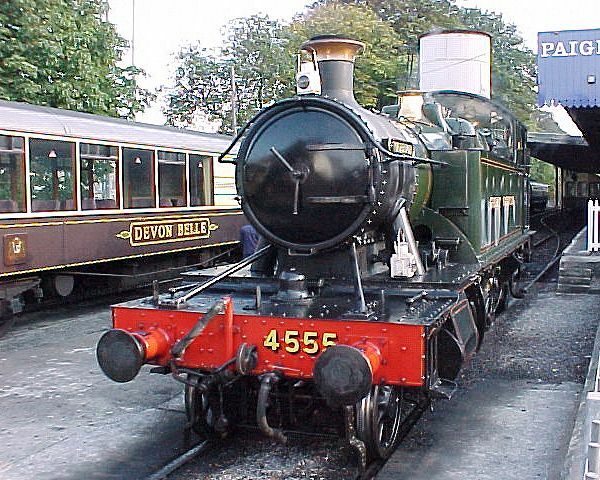 Ex-GWR 2-6-0 Prairie tank locomotive No. 4555 'Warrior' at Paignton. After arrival from Kingswear, 4555 moves forward to the coal and watering point at the end of the day. Locomotives simmer here in the evening sunlight.